Fans of Japanese RPGs have been gazing longingly at Xenoblade for a long time now, but those soppy eyes are about to cheer up as Nintendo of Europe announces the game will find release there under the name Xenoblade Chronicles. Featuring new English voiceovers as well as the original Japanese actors, the game will also include English, French, Italian, German and Spanish subtitles. The announcement pegs the game for a release in 2011. Are you excited? 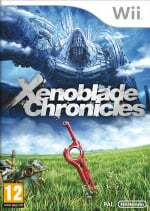 Xenoblade Chronicles will be launching later this year for Wii featuring both English and Japanese voice-overs and will be fully subtitled in English, French, Italian, German and Spanish. Keep checking http://xenoblade.nintendo.co.uk for further information on this epic new adventure for Wii. An imaginative dagger in my heart has been lifted. PLEASE bring this to NA! Now please bring it to North America!!!!! All I can say is: HOORAY! Awsome! Im so happy im so glad.. Instabuy day 1. Of course it'll make it to NA. Nintendo isn't coming out with a new console so they need to milk the Wii. What's easier than just porting over existing games. Iwata already stated they they will prolong the Wii in markets by porting games that never made it over. Like this game and Last Story as well as many others. America. Please for the love of all things video games, bring it to America. But congrats EU, you got something special. yeah nice to bad i just sold my wii to get the 3DS. nintendo why not a bit earlier? Wow that's cool! I hope the US will get it also as I am interested in this game, as well as Last Story. This is pretty great! I envy you guys. Hopefully something will be announced about NA soon. Seriously? It's not April Fools yet, is it? Now, bring over The Last Story within a year or two, and the Wii will probably have some reeeally happy RPG fans. Didn't they give the NA version a name already? This better come here. Since nothing else is getting released besides zelda. I like my 3ds and the games coming for it but I would like to play some new games on my wii. Hell to the yes. Come on NOA! When will the time for America. Happy day...will be happier when announced by NOA! I will definitely pick this up if it comes to the states. Of course I said the same thing about Disaster: Day of Crisis, Last Window: Secret of Cape West, and Trace Memory R, and despite Nintendo of America needing to do nothing more than put those games in boxes, they still didn't make it out on these shores . Good news for Europeans...you better buy it now that you whined so much. 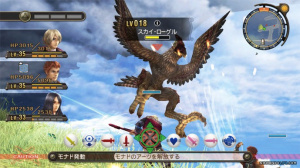 I'd only really heard of Xenoblade in passing, and after a little bit of research on my part, I'm now jolly excited. Don't worry, I'm sure America's going to get this, too! Very cool. Definitely going to pick this up. I also second or third the call for The Last Story. Oh and NoE, while we're at it, how about Excite Bots, eh? This, along with Zelda and Last Story (if it comes out of Japan (which is fairly likely)), will be the Wii's swansong. Which means that they will be very good at minimum, if not some of the best games on the system. ... but what about last story? Okay, you're almost there. Just one more step now. Hey, you don't even have to be retranslated; you're already in English now. Just one more step and you'll bring a whole new genre onto the Wii--one many have been waiting for for a long time. This makes me a VERY happy person! That's awesome news - I've been waiting for this for ages! imagine how many people that would TAKE to feed! I knew it was only a matter of time, how could they NOT bring this further west? I just need "Last Story comes west" news and I'll be all set. Excellent news. Xenoblade, The Conduit 2, The Grinder, Dragon Quest X, the new Kirby and of course the new Zelda, and this is just the pre-E3 stuff. The future looks suddenly bright again!! YES!! I'm very happy!! And I'm waiting Dragon Quest X.